Welcome to the Bread Booze Bacon website located at “www.breadboozebacon.com” (this “Site” or “Wesbite”), which is owned by Julie Espy/JK Media LLC (“Julie”). Please read this page carefully before using this Site. By accessing or using this Site in any way, you agree to and are bound by the terms, conditions, policies and notices contained on this page (these “Terms”), including but not limited to conducting this transaction electronically, disclaimers and a choice of Arizona law. These Terms are effective as of 01/01/2015. 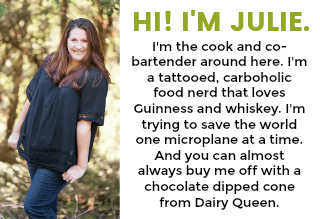 All contents of this Site are: ©2018 Julie Espy & JK Media LLC (dba Bread Booze Bacon). All rights reserved. This Site contains copyrighted material, trademarks, service marks, logos, trade dress and other proprietary content, including but not limited to text, excepts from a book, photographs, buttons, images, video and graphics, and the entire selection, coordination, arrangement and “look and feel” of this Site and the content are copyrighted as a collective work under United States copyright laws (collectively, the “Content”). Bread Booze Bacon is a for-profit blog and I do accept money/product as compensation for writing reviews, running ads, and through affiliate links. I will always give my 100% honest opinion for any review and disclose if I have received any compensation in the form of payment, product, or both for my time and efforts to be completely transparent with my readers and to comply with federal law. JK Media LLC may change this policy from time to time by updating this page. You should check this page from time to time to ensure that you are happy with any changes. This policy is effective from date. Bread Booze Bacon uses Google Analytics Advertising Features. These first-party cookies and other first-party identifiers, and third-party cookies (such as the DoubleClick cookie) or other third-party identifiers are used to discover reader interests, general locations (country, state, city), age range and other details available through this Google product. This information is used to determine content for this Website and is sometimes shared with potential and current advertisers as general information to support validity for campaigns. Your personal, individual information is never shared with anyone. Types of information share include general percentages by city, interest, age range, and information of that nature. If you prefer for this information to no be collected using the above stated cookies, you may opt-out at this link for any Google Analytics listed. 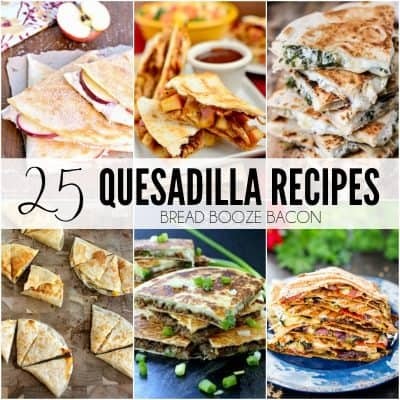 Bread Booze Bacon is a participant in the Amazon Services LLC Associates Program, an affiliate advertising program designed to provide a means for sites to earn advertising fees by advertising and links to Amazon.com. As part of this Amazon Associates program, the Website will post customized links, provided by Amazon, to track the referrals to their website. This program utilizes cookies to track visits for the purposes of assigning commission on these sales. Opt-out – You may opt-out of future email communications by following the unsubscribe links in our emails. You may also notify us at hello@breadboozebacon.com to be removed from our mailing list. Access – You may access the personal information we have about you by submitting a request to hello@breadboozebacon.com. Amend – You may contact us at hello@breadboozebacon.com to amend or update your personal information. Forget – In certain situations, you may request that we erase or forget your personal data. To do so, please submit a request to hello@breadboozebacon.com. If we learn we have collected or received personal information from a child under 13 without verification of parental consent, we will delete that information. If you believe we might have any information from or about a child under 13, please contact us at hello@breadboozebacon.com. You have the right to use our Site without consenting to marketing and communication services that we provide. We will inform you (before collecting your data) if we intend to use your data for such purposes or if we intend to disclose your information to any third party for such purposes. We always use the most recently submitted form to be your current consent status. If you are a registered user, but not signed in when you submit a form, we will not be able to use your saved settings so will deem your consent choice to be as per the form you submit at the time. You can exercise your right to prevent such processing by ticking certain boxes on the forms we use to collect your data. You can also exercise the right at any time by contacting us at hello@breadboozebacon.com.